Watch & make the sweet crush – that's all you need to get started with the color pool balls in Circle Charm Saga. New 2048 is to offer you the most classic 2048 puzzle gameplay along with 3 different variations. With rich gameplay, 2048 number puzzle game is sure to be your favorite! Get immediate access to 2048 plus game variations like Time Rush, Endless mode, tasty Donut puzzle saga, pool Billiard puzzle ball gameplay, and other over 100 perfect hit number puzzles levels and laps! 2048: Circle Charm Saga Features: - Sweet ways to play: Crush quickly the same rainbow-colored number ball in circle saga. 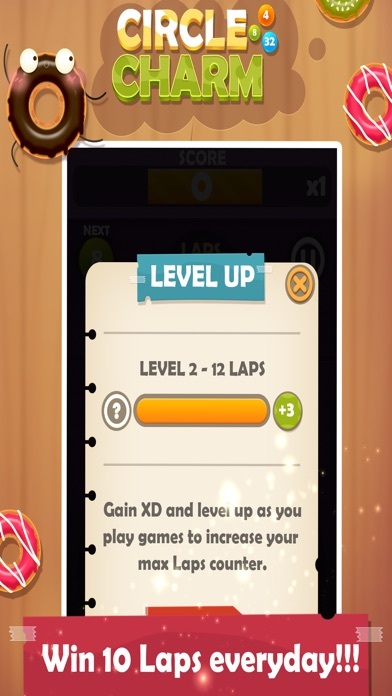 - Over 3 unique & advanced 2048 game modes in app - Keep playing for High-score after collected 2048 tiles - Collect rainbow balls drops to progress for super challenging levels - Crush detailed guide and rules for each 2048 classic gameplay (levels, game modes, laps) - Process and high score will be automatically saved in 2048 Circle Charm Saga - Gameplay: Candy adventure, New Circle 2048 version, Time Rush, Endless game modes, Donut puzzle saga, pool Billiard puzzle ball, wrapped and striped delicious especially rainbow-colored bombs and the variety of magical boosters will be updated in this 2048 Circle Charm Saga. How to play 2048 Circle Charm Saga: Watch and crush 3 same number balls in one touch without lifting your finger off your screen. When 3 ball tiles with the same number touch, they merge into one! Every swipe, a new tile will randomly appear in an empty spot on the board with a value of either 2 or 4. Slide the tiles to merge them, 2+2=4, 8+8=16 ...32 ...256 ...1024... Go head to head and show off your skills as the ultimate gamer against friends with leaderboards to compete who will get the top score! 2048 Circle Charm Saga Game Modes: Classic Mode: Classic 2048 gameplay in circle version. This new super 2048 number puzzle challenge mode is an upgraded version of the original 2048 game. More challenge, much more fun! Endless Mode: Start playing this classic awesome 2048 puzzle unlimited game mode. Click on the adjacent tiles with the same number, all the tiles will merge into one and double its number. Time Rush: Crush quickly the same is the main challenge. Line up the same rainbow-colored numbers from small to large to generate a larger number. The longer the line is, you have more chance to win the 2048 puzzles game. Compete with your friends who bump the cool color 2048 3D time rush version to see who can reach the best score. Donut Puzzle Gameplay: Party mode with sweetest and tasty 2048 circle dessert forever. Quickly crushes same rainbow-colored Donuts in each circle with detailed guides and rules. 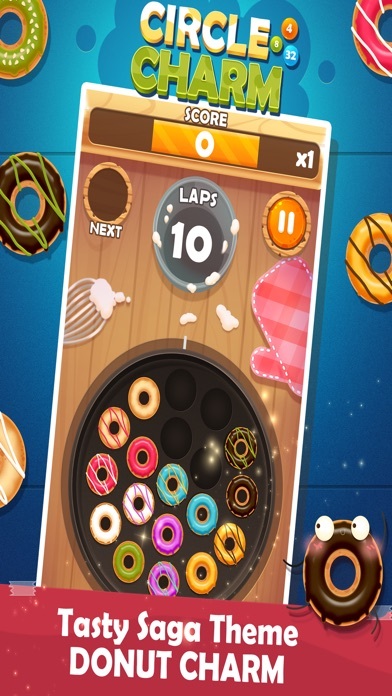 Slide to connect the same Donuts, the more you connect, the higher Donuts puzzle game score you get. Get the sweet feeling when your quick thinking and fast moves are rewarded with delicious color and bump the 3D tasty combos dessert party. 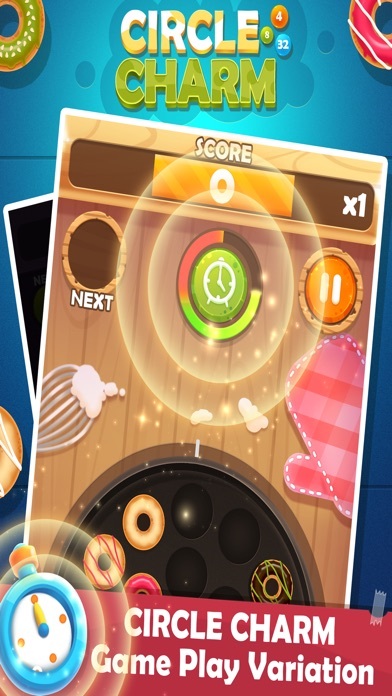 The Donut Puzzle as a cooking game is packed with features to satisfy your Donuts destroying appetite. 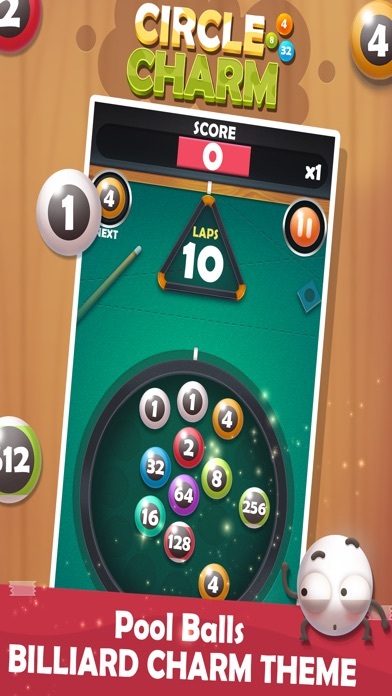 Billiard Puzzle Gameplay: The world's #1 ball pool game! New number 2048 version with Billiard Puzzle. More rainbow-colored balls, more challenge circle pool. 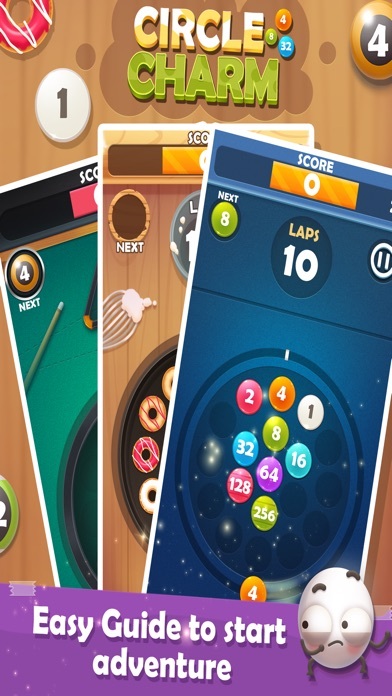 Lap and crush Billiards created art the divine puzzle circle saga in Billiards pool party. 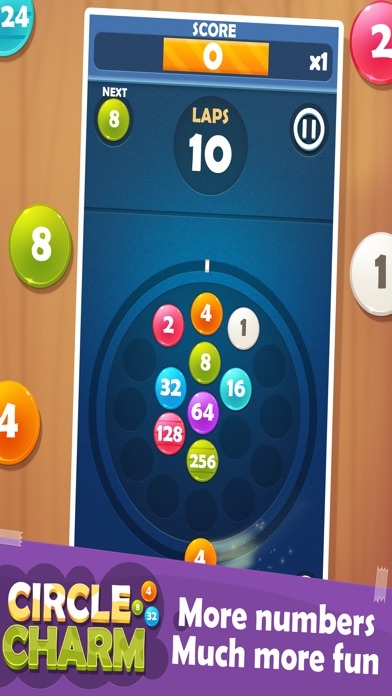 Collect color Billiards bump 3D drops to progress along the for super challenging levels as max laps counter. More challenge 2048 games are waiting for you in our cool math games: 2048 Circle Charm! With endless 2048 you now have the famous math logic puzzle always with you – anytime and anywhere for free! Relax or keep your mind active – pass time in a pleasant way! Free to Download Now! Challenge yourself and see how long you can last in 2048 Circle Charm Saga. Enjoy the fun on this 2048 charm number puzzle games!